Hey, remember how I saved you all that money earlier today with the news about Buffalo Gold being on sale? Well, I forgot to mention the "3 for $10" sale that Jubilation is having on 22 oz. 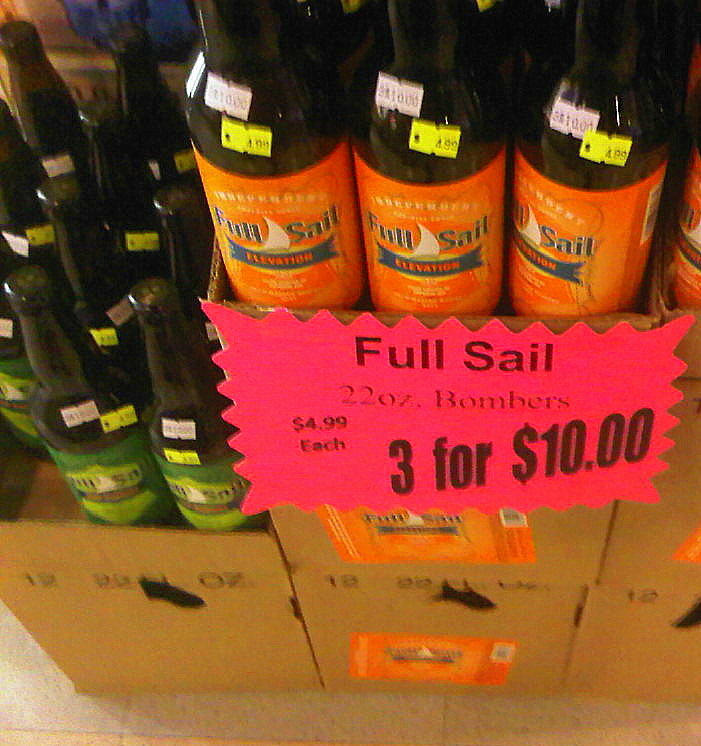 bottles of Full Sail. Ok, so the only 22 oz. Full Sail bottles available are the Elevation IPA which I wrote about a few days ago and the Hop Pursuit, which is a Pale Ale that has been around for months. I'd think about skipping that one and just buying up three Elevations, which normally sells for $4.99 per bottle at Jubilation ($5.99 elsewhere). What, still not interested? I understand...sometimes Groupon has specials on Hot Yoga but I swore I'd never wear a leotard again after I got kicked off my high school ballet team.